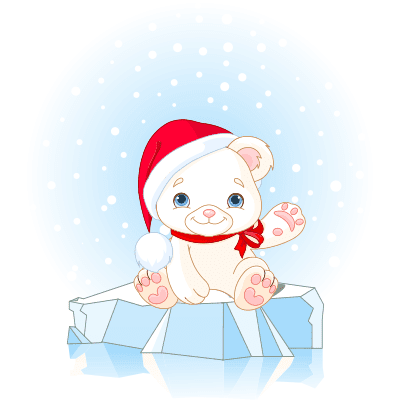 Spread some holiday cheer with your Facebook network with this adorable bear topped in a Santa hat. 'Tis the season to get in touch with the people you know and wish them a happy holiday or Merry Christmas. Post this image in your next post to tell your friends you're thinking of them during the holiday season.